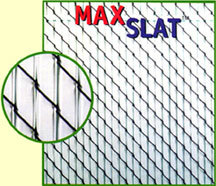 PVT slats are flat tubular plastic extrusions which are inserted into any type of chain link fencing to add beauty and privacy to both sides of the fence. Once installed, PVT slats ae virtually maintenance-free. Salt, sand and road dirt will not harm the slats in any way. 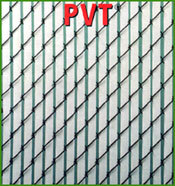 Due to the UV inhibited thermo plastic design, PVT slats will not fade, chip or discolor for at least 15 years. By means of a unique manufacturing process, the locking notch and top end of slat are a fixed distance assuring a straight edge along top of slats. VANDAL PROOF -- PVT slats have a unique locking feature. 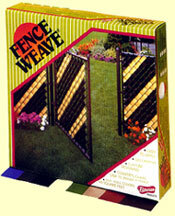 Once the horizontal locking strip is in place, the slats cannot be removed from the fence. 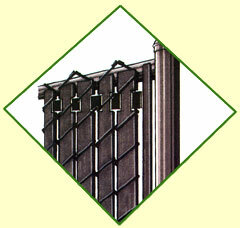 Where maximum security is desired, a pop rivit can be installed through the horizontal retainer at 4' intervals. PVT Slats are available in heights of 4, 5, 6, 7, 8, 10 and 12 feet! Contains one 250' roll for a total coverage of 40 square feet. 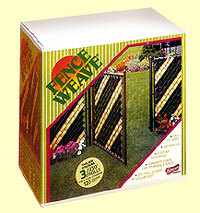 Contains three 250' roll for a total coverage of 120 square feet.